The City of Temple City will be celebrating their annual Camellia Festival this coming weekend. As such, Temple City will be closing Las Tunas Drive, west of Baldwin Avenue, from Wednesday Feb 22 through Monday Feb 27, 2017. This road closure may impact your daily commute or travels along Las Tunas. 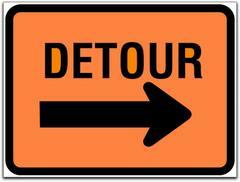 Please use alternate routes like Longden or Live Oak Avenues to detour around the closure. Please direct any inquiry to LASD Temple at 626.285.7171.